John’s career started in 1986 at a Land Rover main dealership , and since opening his our business in 2000 the business has grown from strength to strength. First class workmanship and service with that added personal touch. John Dennis prides and his team prides themselves on a friendly unique approach which reflects in our high level of repeat business. John Dennis has 29 years of Land Rover 4x4 servicing experience. 15 years ago he opened his own establishment to provide service, parts & Land Rover 4x4 repair, conveniently located on the A413 between Aylesbury and Whitchurch. John's career started in 1986 at a Land Rover main dealership , and since opening his our business in 2000 the business has grown from strength to strength. First class workmanship and service with that added personal touch. We have everything needed to handle your every Land Rover requirement in our state of the art workshop. Visit our welcoming relationship to find out more! As ever, complete trust in all garage staff. Excellent collect and return of car. Always comes back washed and cleaned inside. Would not use any other garage. Annual service and MOT on my Freelander 2. Once again fantastic service from the John Dennis team. Would highly recommend to others. I was very pleased with service I received. I felt that extra care was taken to make sure I was informed and a personal service was promised. Once again, excellent service. Needed replacement tyre urgently as car needed 24/7. I called, they collected, replaced and delivered on the same day. I wouldn't go elsewhere. Always open and honest. Feedback regarding work that needs to be done and when. There are no surprises when paying the bill. Always a pleasure using J D 4X4. I have been using this garage for a number of years now and have always received excellent service and found their work to be superb. I have not much luck with local garages, so though I would try John Dennis based on his good score with the Good Garage Scheme and I wasn't disappointed. It's a great garage and they now have another customer. Super service. Absolutely 5 star service. They provided me a car whilst my van was being fixed. They went the extra mile and got a tyre repaired. Fast and efficient service. Would definitely recommend and use again. After being let down by another garage who did not solve this at the last service and failed to help in a reasonable timescale when brake wear became a safety issue, John Dennis helped me immediately. 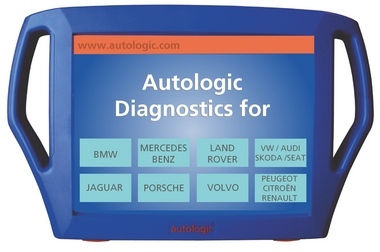 Autologic LAND ROVER gives us the confidence to undertake any service and repair work required and enables us to specialise without having to involve the dealer or call in outside help. All servicing and repair work carried out in strict accordance with Land Rover schedules and specifications. Click to find out more. We can assist you with financing your vehicle as we have some very experienced brokers who have access to many markets. We are always looking to buy Land Rovers. Johns career started in 1986 at a Land Rover main dealership , and since opening in 2000, the business has grown from strength to strength. First class workmanship and service with that added personal touch. John and his team pride themselves on a friendly, unique, approach which reflects in our high level of repeat business. John Dennis is the leading Land Rover specialist in Buckinghamshire. We employ a team of highly qualified experts fully trained in the Land Rover brand. There is no part of the Land Rover industry that we cannot help or advise on, and the quality of our products & service is extremely high. 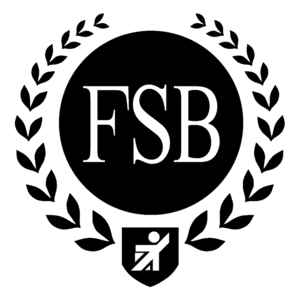 Over the years the business has grown and is very well known within Buckinghamshire. With over 1500 repeat clients each year. John has a passion to help youngsters interested in Land Rovers to become fully qualified technicians, so fully supports the apprentice scheme. Each few years we recruit a new apprentice and help them through their qualification via on the job training. John is extremely passionate about his work and will always provide an honest and upfront approach. He will always be happy to chat through any concern you have with your vehicle. We are always looking to purchase new Land Rover vehicles. We also have a selection on 4x4s for sale in our workshop. © Copyright of John Dennis 4x4. All rights reserved.